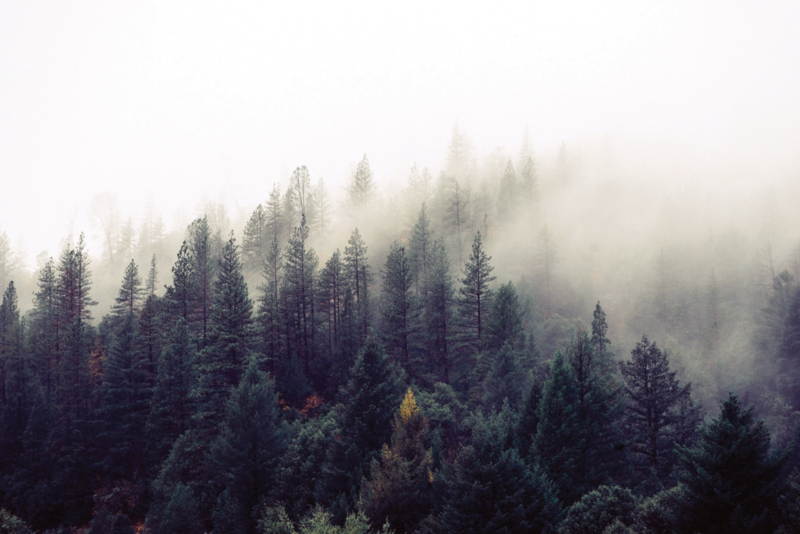 In 1976, a group of individuals lead by Stu Bledsoe, the director of the Washington State Department of Agriculture, identified the need for a program to develop leaders for the agricultural, forestry, and natural resources sectors of the state's economy. To meet the need, they created the AgForestry Leadership Program. Through immersion in a series of seminars throughout Washington State, in Washington, DC, and internationally, participants in the program become fully versed in communications, public policy, and issues management, and are trained to be leaders for their community. 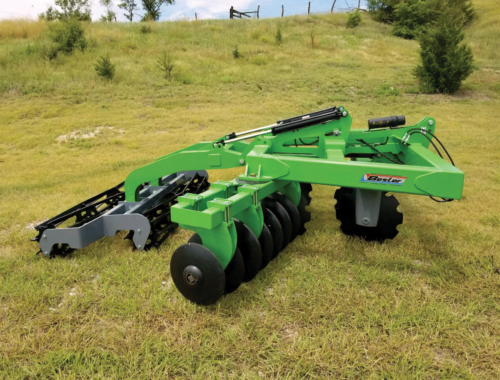 Joshua Dill, the managing editor of Irrigation Leader, spoke with Sheryl McGrath, president of AgForestry Leadership, about the cutting-edge program she leads. Throughout the interview, Ms. McGrath describes AgForestry Leadership’s mission to positively affect Washington State and the world at large. Joshua Dill: Would you tell us about your background and how it led to your current position? 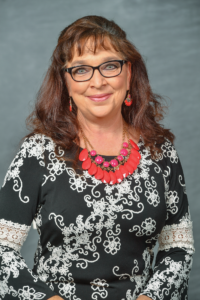 Sheryl McGrath: I grew up in Spokane, Washington, and went to Eastern Washington University, where I received my bachelor’s and master’s degrees. I then moved to Southern California to try out the big city for a couple of years, but while working for corporate America, I realized that that life was not where my heart was. I moved back to Spokane, and began work in the nonprofit world, focusing on social services surrounding assault victims, homeless people, and low-income cancer patients. I then moved into economic development in the nonprofit sector as the president and chief executive officer of a large chamber of commerce on the western side of Washington and also worked for the municipal government. Later, I wanted to try something different, so I opened my own restaurant featuring Washington-grown products. I grew up in a family that was service- and nature-oriented, so I was excited by the opportunity to work for AgForestry Leadership. It was also exciting because it involved everything I had done my entire life, from natural resource sustainability to public policy, nonprofits, and leadership development. Joshua Dill: Would you tell us about the history of the AgForestry Leadership program? Sheryl McGrath: In the 1970s, there was a national program called the Federal Rural Rehabilitation Trust Program that issued insured loans to people in every state for rural and agricultural rehabilitation. When the program ended, the funds were freed up for other uses, and every state was given the option to identify priority needs for the remaining money. Stu Bledsoe, who was the director of Washington State’s Department of Agriculture, had heard about a leadership-development program in California. 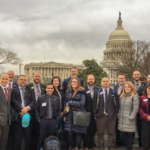 He took some volunteers to California to check out their leadership program and decided that Washington needed a similar program to develop leaders to be a voice for agriculture, forestry, and natural resources. We were incorporated in 1977 and had our first leadership class in 1978. We just celebrated our 40th anniversary and continue to be the only program of our kind in the state. Sheryl McGrath: Over the course of 18 months, we provide a series of educational seminars for our class members. Our classes have up to 24 participants. We provide lectures from experts in their fields, hands-on learning experiences, and tours. We have two classes running concurrently: Right now, Class 40 is in its second year and Class 41 just started its first year. We select adult participants from across the state, generally between 25 and 55 years old, through a highly competitive interview and application process. We try to use a little bit of science and a little bit of artistry to create a class that mixes people from various commodity and industry sectors in agriculture, forestry, and natural resources. That way we have a wonderful mix that represents our entire state. 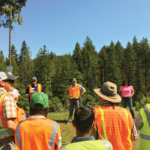 Our participants include people who work for government agencies; conservation groups; orchards, ranches, and farms; wineries; forestry companies; shellfish companies; and all related industries. These include people directly involved in agriculture, forestry, and fishing; producers, processors, and shippers; and professionals in marketing, law, education, conservation, insurance, banking and sales, and supporting fields. The program includes 11 seminars conducted throughout Washington State. The in-state seminars cover topics including leadership and communications, group dynamics and public speaking, working with the media, forestry, agriculture, the Columbia River system, crime and corruption, and transportation. 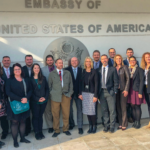 We also host a 1-week seminar in Washington, DC, to learn about the federal government, and a 2-week seminar in a foreign country that teaches our leaders about trade, foreign government, differing industry practices, and historical practices in other countries. We feel that this teaches our leaders how to be better partners globally. Joshua Dill: What is the advantage of selecting a mix of participants from different industries? Sheryl McGrath: I think one of the most valuable benefits and the lesson we instill in our leaders is that because Washington State’s agriculture, forestry, and natural resources communities are so diverse, there are a broad variety of opinions and methods of arriving at solutions to the challenges within the industries. By assembling a diverse group of participants, we help our leaders collaborate, communicate, and inspire each other to be better servants for the state as a whole. Joshua Dill: What skills do participants learn? Sheryl McGrath: Our leaders learn to educate others and to work on environmental, water, social and many other public policy issues. They are skillful communicators and critical thinkers. They know how to collaborate on tough issues. They learn how to reach solutions via multiple different pathways. They know to work effectively with our elected officials. They are servant leaders and are a voice for our natural-resource industries. 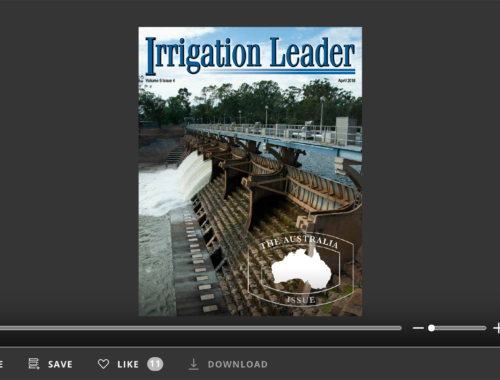 Joshua Dill: What would make the leadership program appropriate for irrigation professionals? Sheryl McGrath: Irrigation professionals are at the absolute center of public policy issues all the time. Water touches everybody’s lives, so learning how to reach solutions to the challenges that come to irrigation specialists in a thoughtful and critical manner is tremendously important. Sheryl McGrath: Our alumni are awesome. Including our current class, over 1,100 people have participated in the program. Those people have gone on to make significant impacts. Our alumni include multiple state representatives and senators, mayors, commissioners, and hundreds of other local and county government officials. Most recently, the Honorable Vicki Christiansen, a graduate of Class 12, was selected to be the U.S. Forest Service Chief. U.S. Congressman Dan Newhouse is from Class 4. All this is a testament to the quality of the leadership training AgForestry provides. Joshua Dill: How do alumni give back to the AgForestry Leadership program? Sheryl McGrath: The bulk of our funding as a 501(c)(3) comes from the generosity of our giving partners, many of whom are alumni. Many of them also support the program by being presenters and speakers during our seminars. They help with receptions and by sponsoring seminars as well. 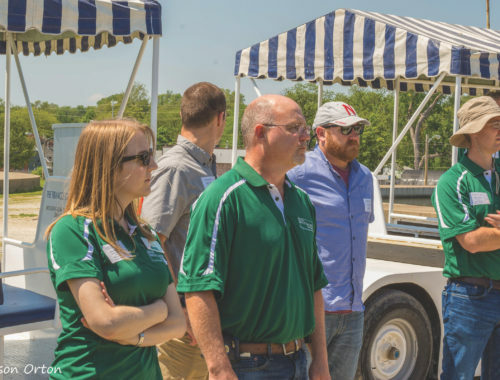 They also do networking events to stay connected to the AgForestry family, and they are continually identifying potential candidates for upcoming classes and the next generation of leaders. Joshua Dill: What are the long-term goals of the program as a whole? Sheryl McGrath: Our long-term vision is to positively impact and enrich lives and communities throughout Washington State and the world with leading-edge solutions to challenges faced by agriculture, forestry, and the natural resources community. Joshua Dill: What ambitions do you have for the program going into future years? Sheryl McGrath: We envision many possibilities. We have a vision of engaging younger people in their late–high school and early-college years so that we can get them thinking about leadership from an earlier age. We would love to branch out even further from the commodity sectors represented right now. We would also like to implement a second AgForestry program for our alumni that mirrors their first experience but reaches an even higher level of leadership learning. The level of growth in participants is impressive. We strive every day to ensure that our class members are leaders, prepared and ready to make positive impacts in their work, families, and communities. 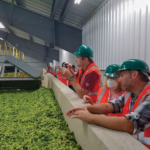 Their AgForestry experience provides the skills and connections to give them a step up to the next level of leadership where they can improve their community and the world. Sheryl McGrath is the president of AgForestry Leadership. She can be reached at agforestry@agforestry.org.